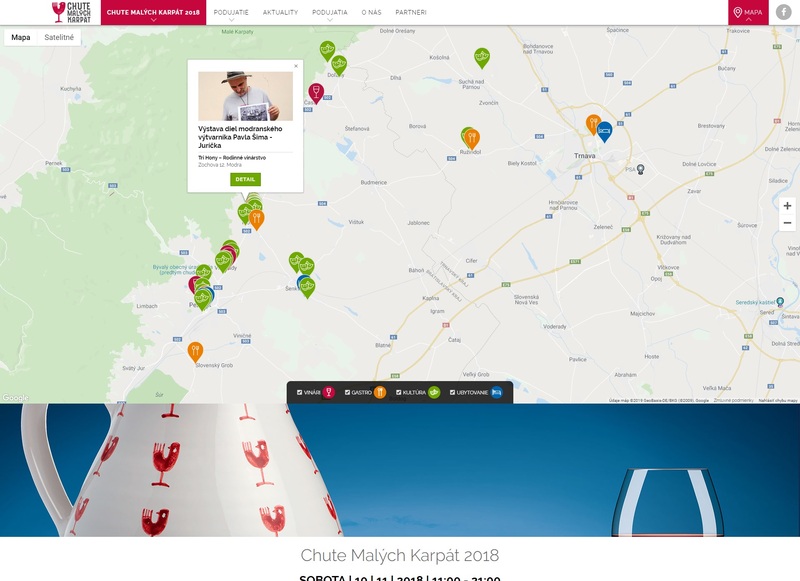 The web portal developed for the association Chute Malých Karpát. The system provides a complete overview of a variety of wine events, providing detailed information and automated sale of tickets. The supported methods of payment are: transfer to account, payment by card, and VIAMO. 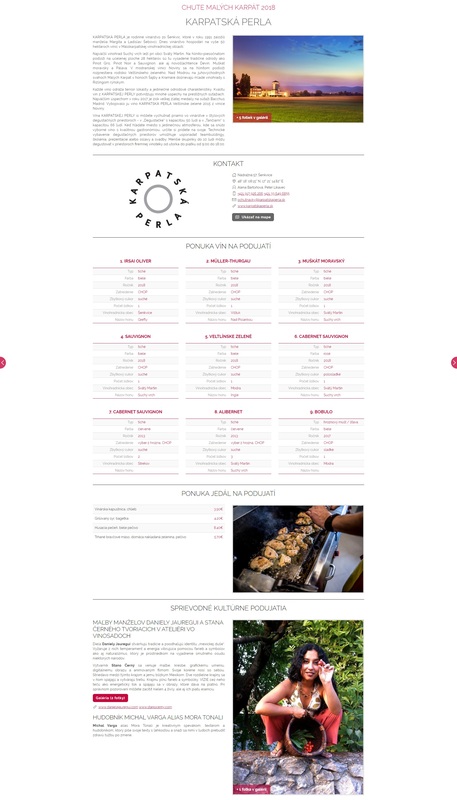 Thanks to an interactive map, visitors to the website have an overview of the locations of winegrowers, gastronomic and accommodation facilities, including accompanying cultural events. 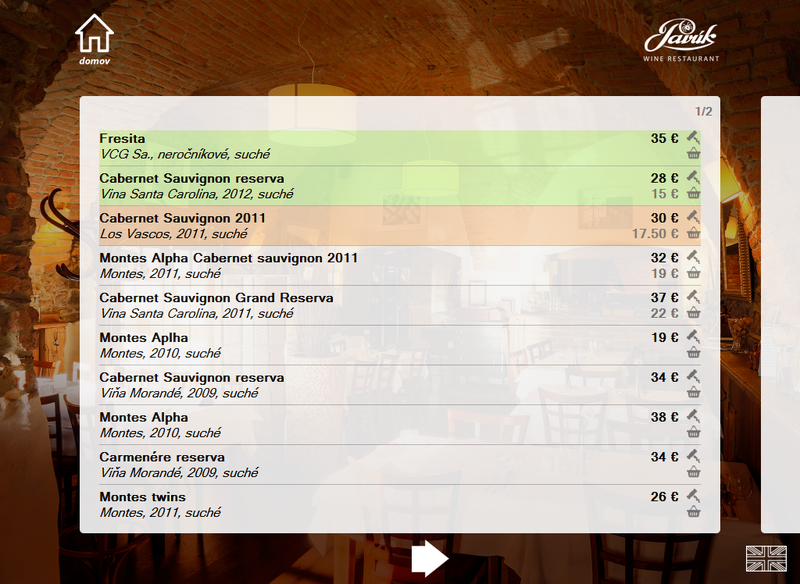 The system enables the visitors to search according to various criteria in a list of wines offered. 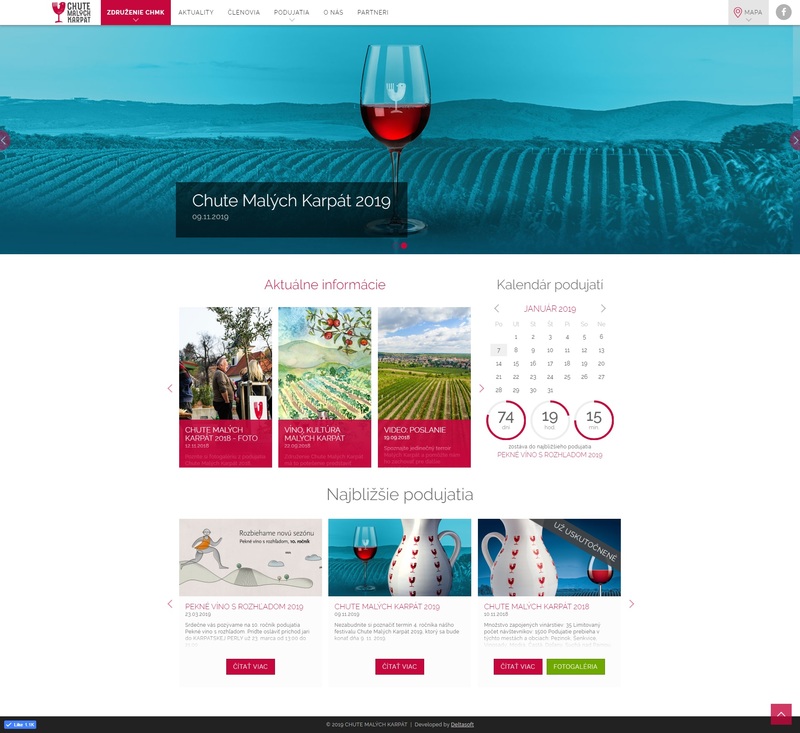 In addition to the administration interface, the project offers an interface for winegrowers who may use it to manage their portfolios and wines offered at particular events. 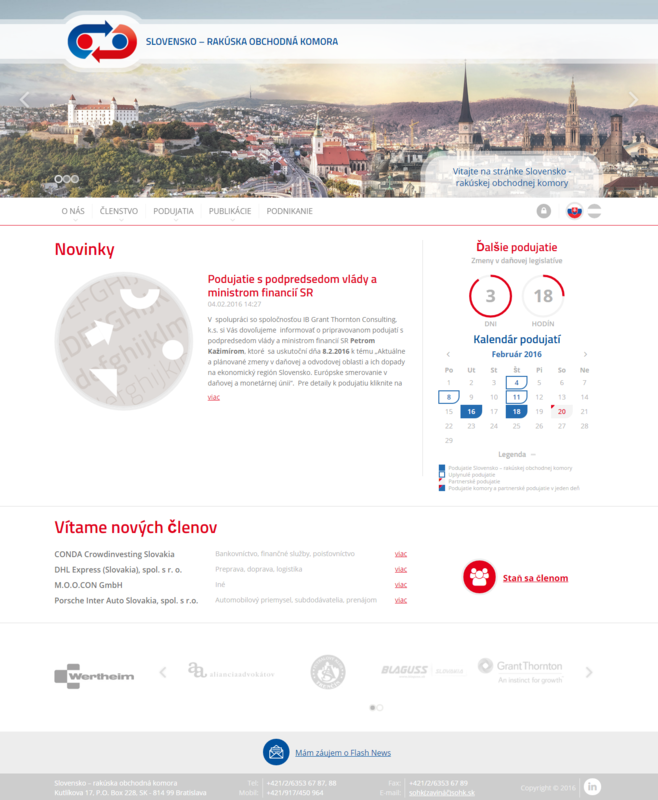 Website designed for the needs of Slovak-Austrian Chamber of Commerce. 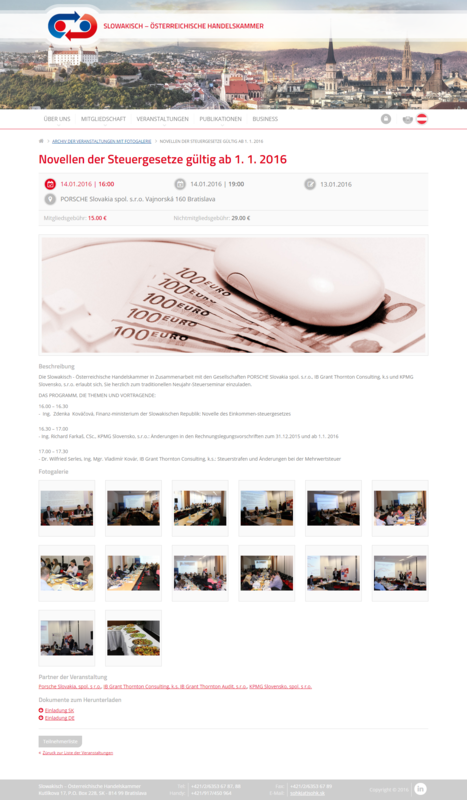 The presentation section of the website unites complex information about the member and non-member organizations and organized events. The system is used by users who have various levels of authorization and are allowed to register to participate in the events organized by the chamber. Each user is either an organization member or is registered as a natural person. Language versions are available in Slovak and German. The project includes also robust administrator interface used also to issue and process invoices, and to automatically send various types of group emails. 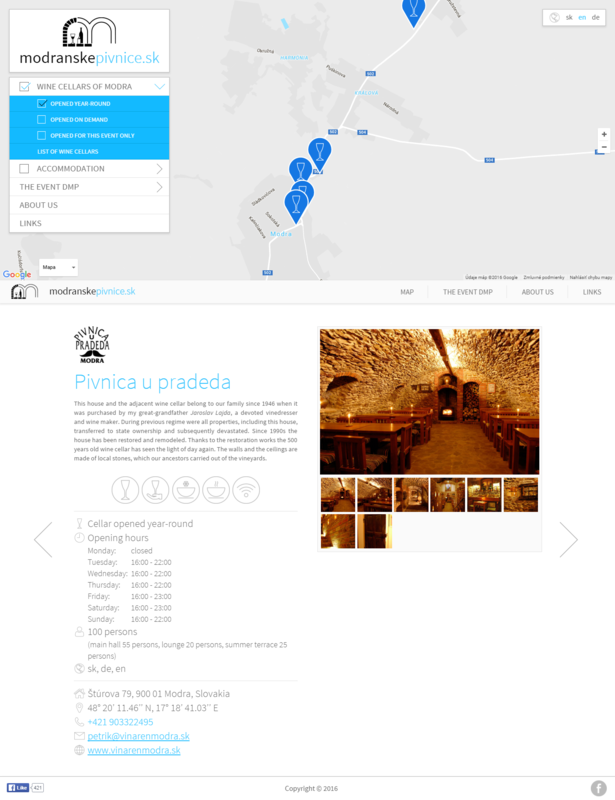 Web portal uniting information about interesting places to visit in the city of Modra. 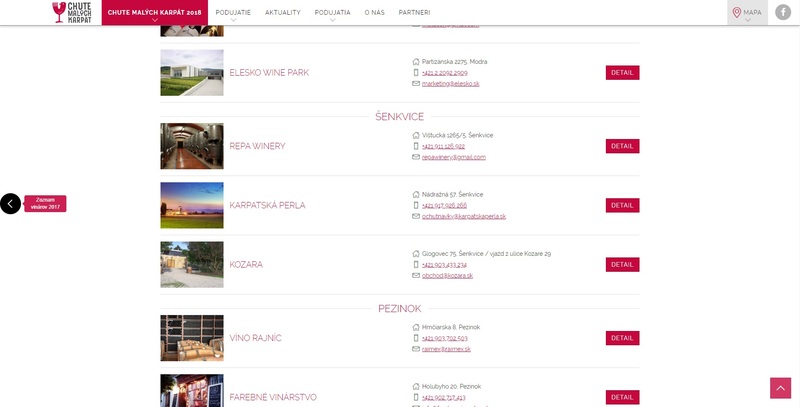 By using the filter function, visitors to the interactive google-map may locate wine cellars, accommodation facilities, gastronomic venues, attractions, sights, etc. 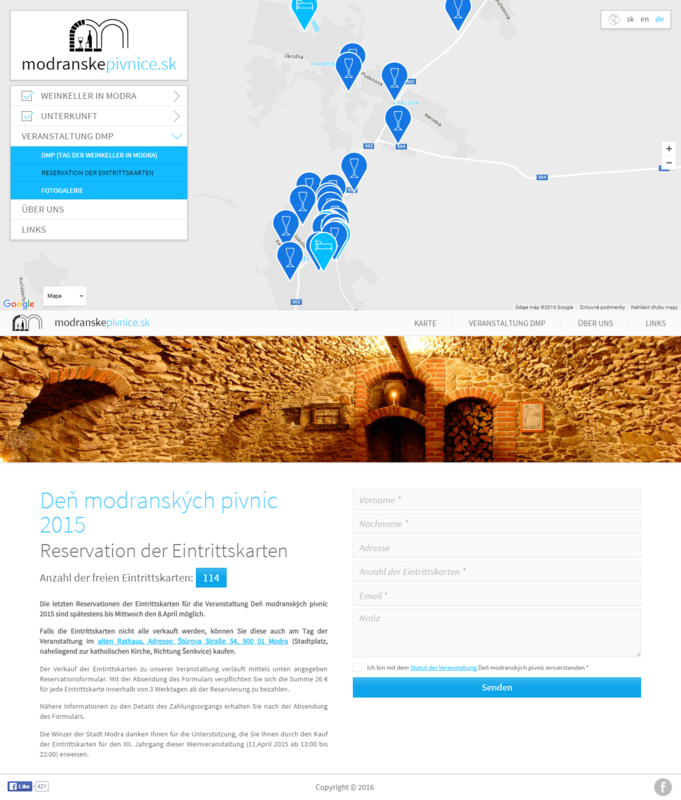 The website also links to the event Modra Wine Cellars Day by providing the system of ticket reservations and sale including the integrated function of online payment by a bank card. In addition to the Slovak version, the entire portal is also available in English and German. The project includes an administrative interface designed to administer the system of event tickets reservation and sale. 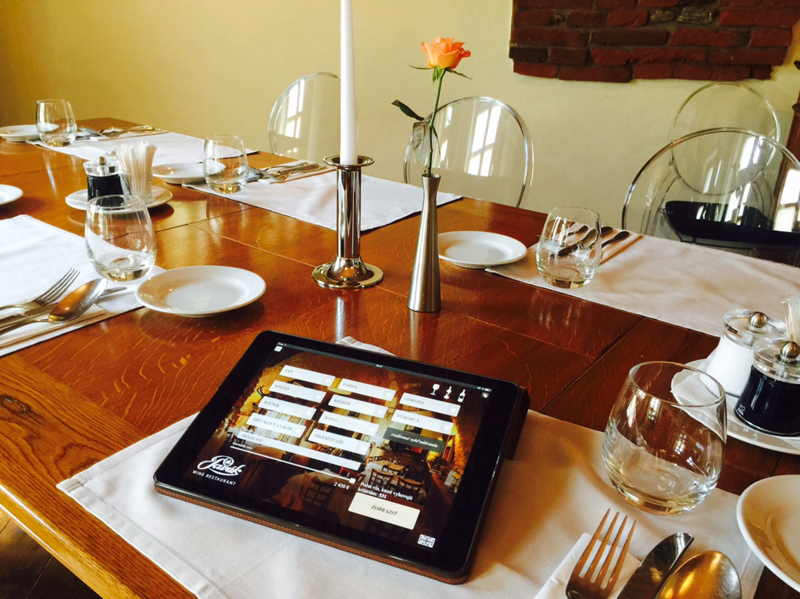 The winery and wine restaurant Pavúk benefits from an application developed by our company as a replacement of the classic printed wine card. 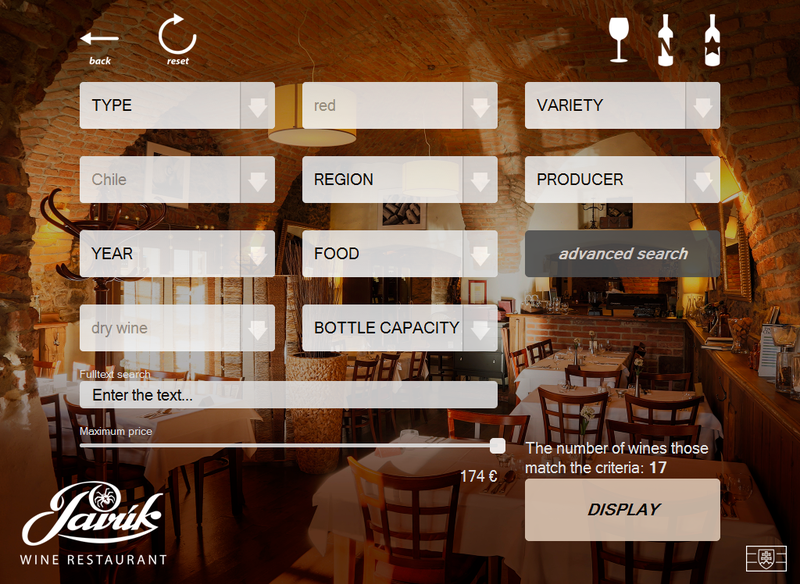 The application is browser-based running on tablets and providing complex information about more than 600 wines. Customers can search using the application according to a wide scale of criteria. 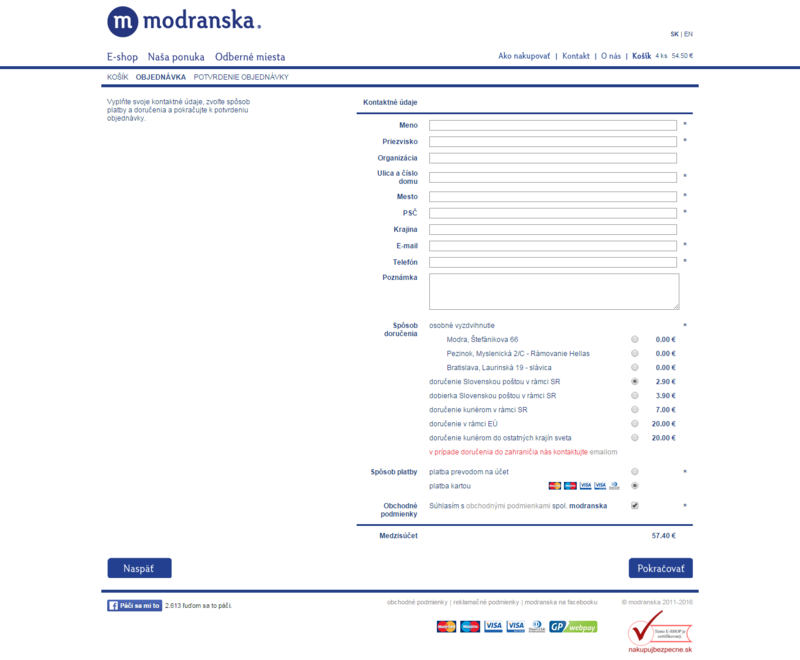 The application whose design highlights transparency and intuitive functions may be viewed in both Slovak and English language. 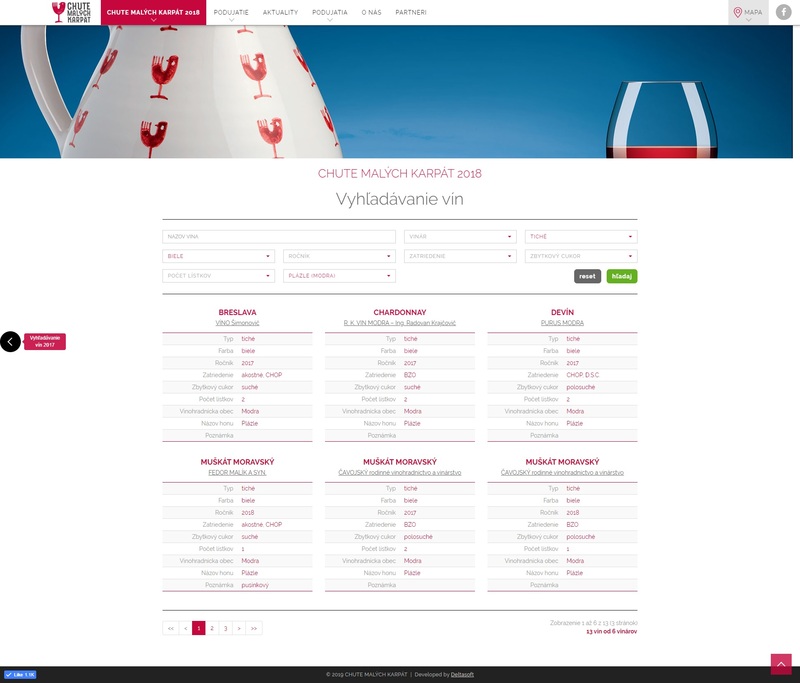 The project includes an administrative interface designed to continuously update the wine database and to fulfill the function of the storage system. Project is not publicly available. 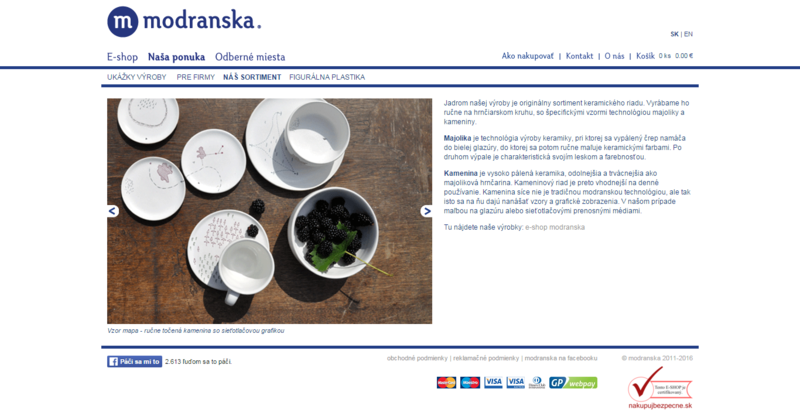 Website of the company manufacturing handmade pottery – modranska. The website consists of the presentation section and a sophisticated e-shop allowing the customers to make online payments by a bank card. 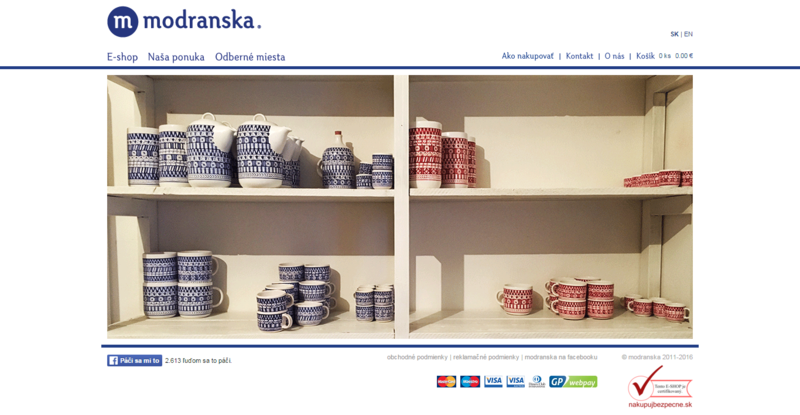 Versions of the website are available in both Slovak and English. The project includes an administrative interface functioning also as a storage system.